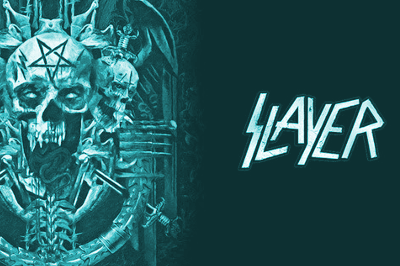 Catch Slayer before they hang up their touring shoes with this blistering show at SSE Hydro Glasgow on Saturday 3 November 2018. The Thrash Metal Titans, Slayer are retiring from the touring circuit, bowing out with an epic World Tour which sees them arrive here with support from the mighty Lamb of God, Obituary and Anthrax. Slayer are one of the original Big Four Thrashers (along with Metallica, Megadeth and Anthrax) and thses shows will see them deliver a crushing selection of cuts from their albums ‘Reign In Blood’, ‘South of Heaven’, ‘Seasons in the Abyss’ and ‘Repentless’. Not for everyone, these bands hold some pretty extreme views, so not for the faint hearted.